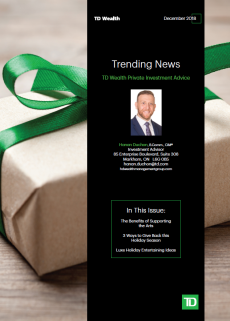 Hanan Duchon is one of the leading Investment Advisors that lead the BRiTE Wealth Management at TD Wealth Private Investment Advice. The BRiTE team is one of the preeminent advisory teams at TD Wealth Private Investment Advice. 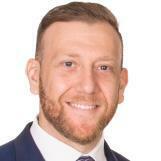 Hanan has over 12 years of experience working in the Canadian investment industry, and holds a Chartered Investment Manager (CIM®) designation. He has worked with some of Canada's most affluent investors and alongside some of the country's most prominent investment professionals. This experience has led him to develop a disciplined investment strategy focused on capital preservation ,risk-adjusted returns, and value maximization. Hanan specializes in working with medical professionals, lawyers, business owners, executives, and institutions. Outside of work, Hanan takes pleasure in daily excercise and playing a number of sports. His time away from work is spent with his wife Ruthie chasing around his adorable daughter.